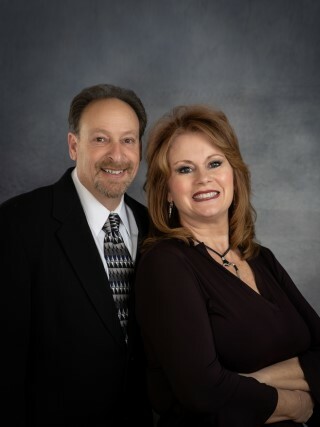 “The Award Winning Team” of Danny & Karie Levine, with over 36 combined years of experience and are in the top 1% of all agents by volume in our local MLS. Serving Antelope Valley, Santa Clarita, San Fernando and Tehachapi areas. They are known for their skills of being a “Trusted Advisor, Skilled Negotiator and Expert Facilitators”. Taking pride in their work and industry shows by the continuing education, unparalleled professional track record, high ethical standards and honesty. Dependability shows by working at the same office for over 16+ years. A family working hard together to help ensure their clients success. They give credit and thanks for their success to the exceptionally loyal clientele, personal referrals, and opportunities to help families achieve their goals in Real Estate. Danny & Karie Levine have lived in the Antelope Valley since the mid 1980's and have 8 adult kids combined, numerous grandchildren, of which 2 they are raising. They enjoy family and friends, camping, traveling, go kart racing and Danny is car crazy. Over the years they have been involved in the community. Below is a list of some of the involvements. In Real Estate, they have won many awards- thus the name "The Award Winning Team". Their Goal is to provide exceptional service. When Service Matters...Experience The Difference!! !